One of the scene's most popular compilation series enters the sixth round! Again, the trademark name "Electrostorm" is synonymous with unconditional quality. The new sampler brings together the most important bands of the scene with their best, new tracks and a selection of promising newcomers on a full length play CD.... and all this at the great low price of a CD single! The choice of songs shines with many previously unreleased tracks and new remixes, whereby the band selection will make the heart of every Electrohead beat faster. 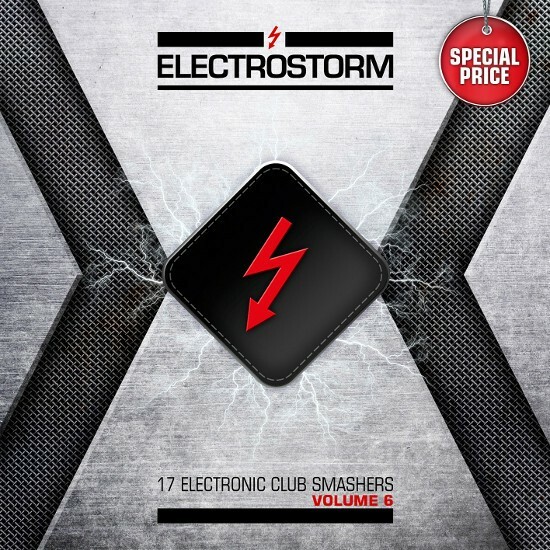 "Electrostorm Vol. 6" brings together scene giants such as Blutengel (with a real rarity), Combichrist, Hocico, Suicide Commando (with a brand new song), Melotron, Solitary Experiments, Acessory (with an exclusive remix) and Ashbury Heights (also with a hitherto unpublished appetizer for their upcoming release, new album), to name but a few, with top newcomers like Sleepless In Pyongyang (Ex-DIN (A) Tod), The Sexorcist, Tanzresonanz (both side projects of Agonoize), Too Dead To Die, Massive Ego and Dear Strange. Together, this results in another hour of pure electronic feast for the ears, which covers the entire spectrum of our extremely complex and exciting scene, at the price of less than two beers! The perfect companion for the road, at home, the gym, the party and the club. Join the movement! Join the Electrostorm! Customer evaluation for "ELECTROSTORM VOL.6 CD V/A 2015"